Since 1968 Mr.Chicken has served Cleveland its famous crispy, juicy and tender chicken. 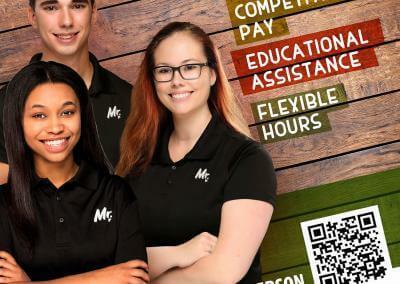 Since their beginning their business ideology is to always deliver “Farm Fresh Food.” Every portion of food that is served comes straight from local farms, seasoned and cooked with their famous Mr.Chicken seasoning. Mr.Chicken cares about their customers and they will continue to work hard to deliver fresh food at a great price. Updating their previous website required HTML coding knowledge and an HTML editor. Therefore, Mr. Chicken’s employees were unable to update the website themselves. This meant that they often had outdated specials on the website as they waited for requested updates to be made by their previous provider. 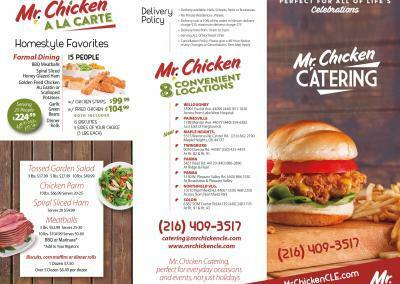 Mr. Chicken’s customers had difficulty downloading the catering menu since Adobe PDF reader was needed.Although there was an option to submit online catering orders, the system did not function correctly. 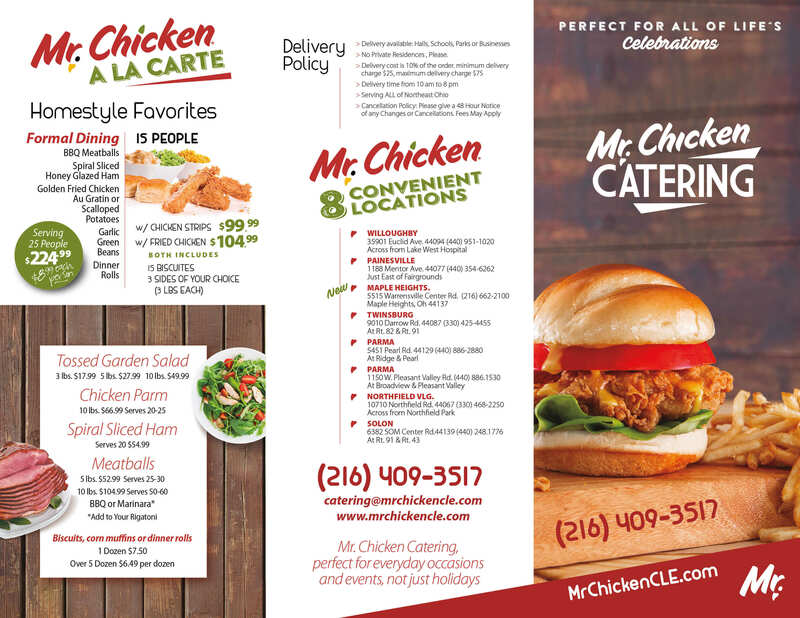 As a result, Mr. Chicken’s catering sales were impacted.The website’s navigation system was cumbersome, resulting in even more frustration for their online customers. 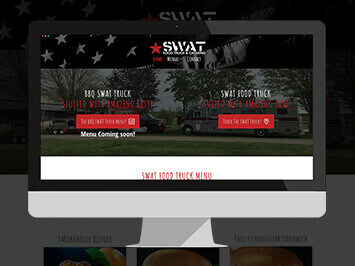 Being that the website was not mobile-friendly, more than half of their customers were not able to use their cell phones to access their website; this was a huge concern, since many of their customers needed to be able to access their online menu to determine what they would like to order before arriving at a Mr. Chicken location. 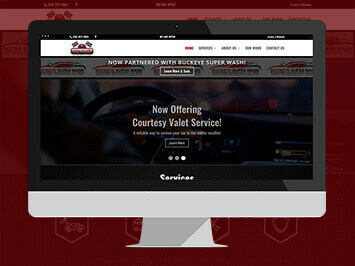 IGV Provided Mr. Chicken with an engaging, mobile-friendly website that was consistent with their branding. 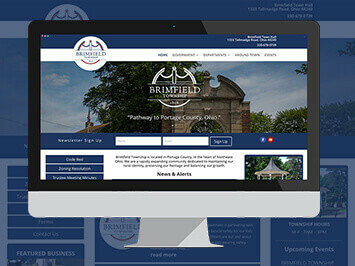 Their new website was built on a Content Management System, making it easy for them to make changes to the content and keep their website up-to-date. We also built a new catering order system that allows their customers to submit a catering order that can be modified by staff members. 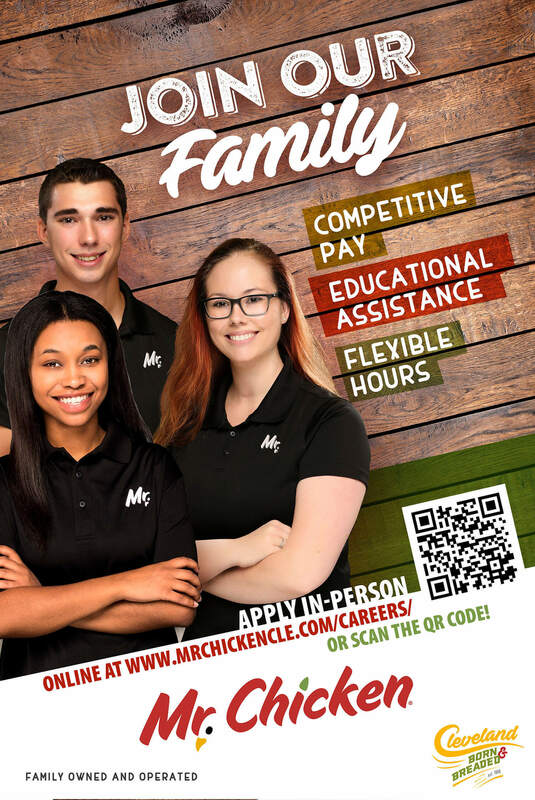 After a photo shoot using some of Mr.Chicken’s employees, we designed this poster to build awareness for employment opportunities and highlight the benefits of working for Mr. Chicken. 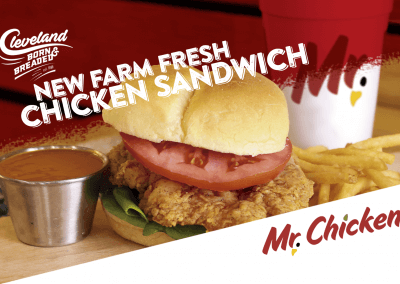 This ad was designed to promote Mr. Chicken’s Farm Fresh Chicken Sandwich during a Cleveland Monster’s game at Quicken Loans Arena.